What are the reasons behind this pusher propeller configuration? Can a pusher configuration sort of like this have its propeller close to the tail (if it were one of those split tails like on a A-10)? Why did they put the propeller above the cabin and not in the tail? My answer would be that that would position the centre of gravity too far back. The engine is heavy, it's best if it is mounted close to the centre of the plane. The combination of pusher prop and tail mounting would make for a configuration that wants to tip backwards. Placing the wings further back is awkward, it's a small plane and leaves little moment arm for the tail surfaces to work effectively. The heaviest single item in an aircraft is the engine. If you were to move the engine to the tail and make no other changes to this design the aircraft's centre of gravity would move so far aft that the aircraft would be unflyable. For a stable configuration the centre of gravity needs to be close to the centre of lift. We could achieve that by moving the wing aft as well, so that the weight of the fuselage ahead of the centre of lift balances the weight of the engine behind. However, your aircraft also has to be a boat. Placing a large weight at one end of a boat will make its handling problematic. Better to place the heavy weight in the centre of a boat, and we're back to the original design. The engine is placed high to keep it clear of the water, and away from possible spray during landing and take-off. Several reasons. 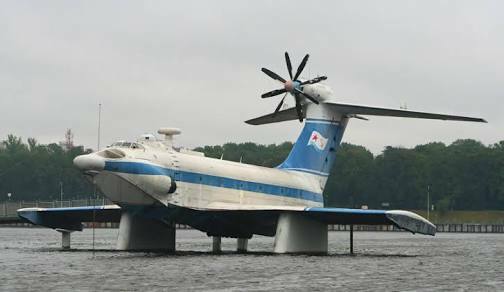 The tail's height above water depends on the pitch up or down of the aircraft but you don't want the propeller too close to the water(!). You also don't want water spray hitting the propeller (the very high tip speed can quickly be eroded by hitting water spray) so keeping it closer to the nose and higher prevents that. Putting it near the wing means its weight and other forces are transferred more directly to the aircraft's strongest structure, the wing spars, keeping structural (and overall) weight down. The propeller is also aimed at the tail, giving it more control authority at low speeds (near stall, takeoff and landing, etc.). Some electric aircraft designs do mount the propeller at the top of the vertical stabilizer as they have a lower weight motor instead of a heavy engine and a larger diameter propeller that needs to clear the fuselage and ground. In such aircraft, the heaviest item is not the engine (i.e. motor) but the battery pack which is usually mounted near the wing spar (often in the wings). It also allows the landing gear to be relatively short / light weight / low drag. At first sight, placing the propeller in the tail looks attractive, but there have been very few designs which put that into practice. 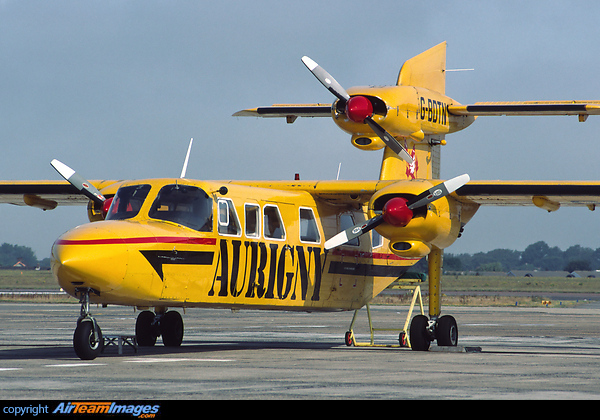 The best known is probably the Trislander derivative of the venerable Britten-Norman Islander utility aircraft. To place a heavy mass, part of which is even rotating in a wide band of frequencies, on a long, flexible beam is generally not a good idea. 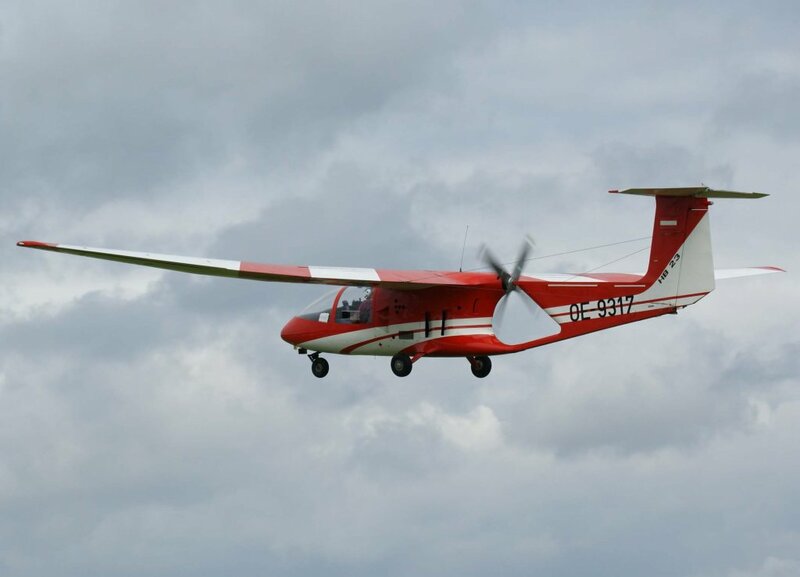 The engine mass will reduce the eigenfrequency of the vertical tail, inviting early flutter, and any imbalance in the propeller will provide the initial excitation which flutter needs to develop. Placing heavy masses away from the center of gravity increases the moments of inertia and makes the handling of the aircraft needlessly sluggish. Doing so in two axes invites a phenomenon known as inertia coupling. Next, a propeller acts like a tail surface. Placing it far aft will stabilize the aircraft and make it harder to control; generally such a propeller location must be combined with larger tail surfaces. 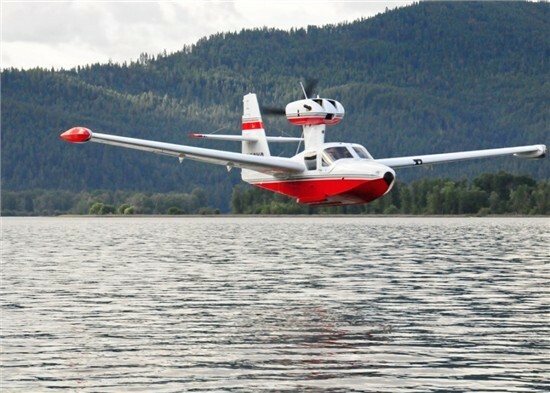 Only seaplanes accept a high propeller location to make sure that spray will not hit the propeller. On the Dornier Do-26 the rear propellers could even be jacked up for take-off and landing. high aerodynamic and structural efficiency, so the extra post and nacelle for the engine were deemed undesirable. You see two of them together below: Right is the Icaré II, the first practical solar aircraft, and left is the e-Genius, a battery-powered experimental aircraft. 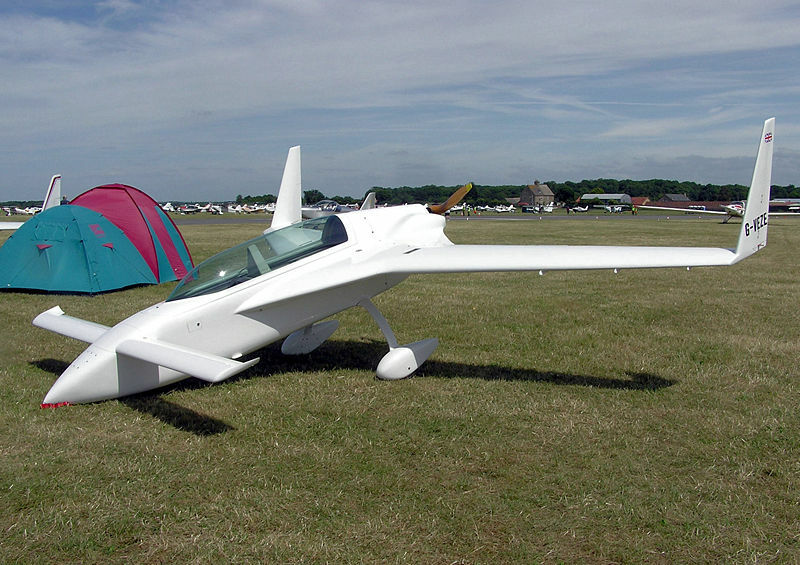 Given the many disadvantages, designers generally try to avoid a rear propeller location. Pushers give better efficiency, so some tried to avoid a conventional layout. Below you see a compromise, where the propeller is mounted aft of the wing, but still close to the center of gravity. The position on the Lake Buccaneer is another such compromise and a good choice for an amphibian. The cruciform tail is even better than a twin tail because the propeller blast will hit all control surfaces, enabling much better low-speed handling on water. Note that I never mentioned the rear center of gravity location. This is really not much of a factor in this case. Not the answer you're looking for? 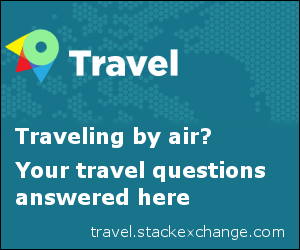 Browse other questions tagged propeller configuration or ask your own question. Why don't aircraft use gimbaled engines instead of flaps? In a pusher configuration with turboprop(s), how is the superhot exhaust avoided?